After gaining a First Class with Honors in Interactive Multimedia Design and winning the Interactive Design Prize with University of Ulster in May 2008, David continued with his passion for design and started freelancing in the that summer. David Henderson Design was then stablished in September 2008 and within a couple of months David had being to work with clients across Europe and the US, delivering digital marketing and areas such as; branding, web design and development, animation, 3D modelling and graphic design. 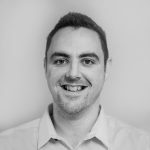 Over the last 10 years, David moved from being self employed to building a team and DHD has now grown to a team of 6 designers, developers and digital marketers. DHD is now a full digital design and marketing agency that works with over 280 clients across the world. Over the last few years David has had the opportunity to deliver workshops on brand and marketing strategy across the UK and recently has spoken to over 400 of the worlds leading young entrepreneurs at some of the world’s leading universities such as MIT, Penn and Northwestern on a number of occasions. David has a genuine passion to connect, encourage and inspire young people and others to help tell their stories through the power of branding and digital marketing.